In Part-2 of this blog post series I provided a detailed ‘How-To’ for new users of the ByVac BV4618 LCD for their Arduino projects. It is clear to me there are plenty of Arduino hobbyists who want to hack LCD’s and need a simple way to wire them up and write to them. The ByVac BV4618 LCD is a great choice. You can actually get it up and running with three wires – V+, Gnd, and Tx. 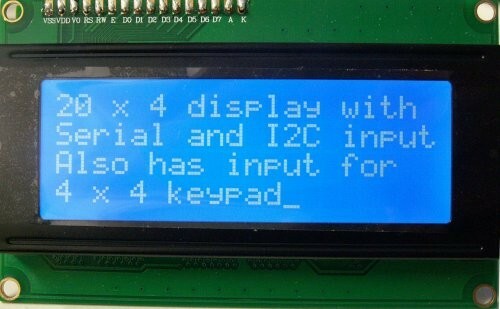 Writing text to the display is pretty straightforward using the BV4618_S library. The library is useful, but Ol’ Sopwith does not think the class is easy enough to use for beginners. To solve this problem I extended the BV4618_S class library and created a new class named sop4618_S. The class is brain-dead simple to use and it hides all the complexities of the VT100 code sequences. My previous post describes my new venture into RFID hacking using a Tastic RFID stealer. The Tastic gadget requires a serial 4×20 LCD to display a proximity cards site code and serial number. I purchased a ByVac BV4618 LCD as a replacement to the LCD listed in the Tastic specifications due to local availability. As Sopwith always advises, the first thing you need to do with a new gadget is to download the datasheet. You can find it here. The internal controller/driver of the LCD is a Hitachi HD44780. 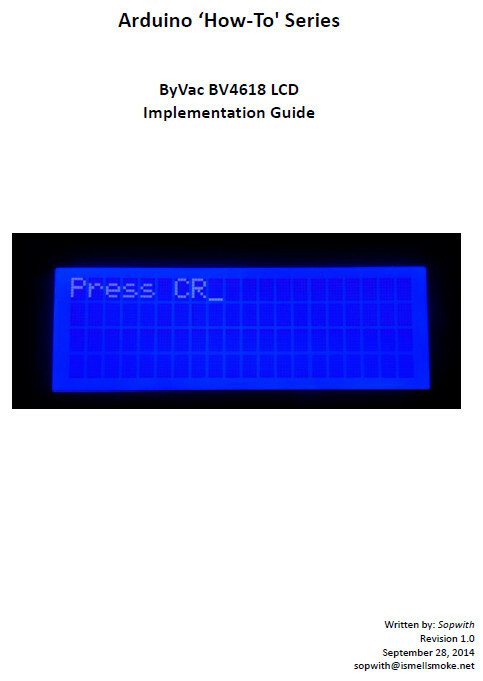 This very popular device can be found in all types of LCD applications. The BV4618 piggybacks on the HD44780 providing a very convenient communication interface. 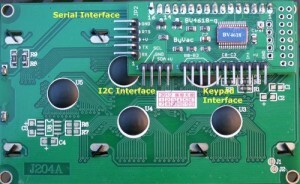 The BV4618 provides three interfaces. 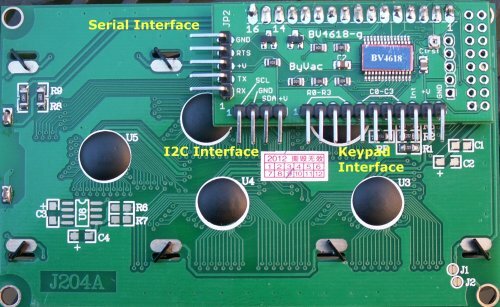 A serial interface provides support for both TTL and RS-232. This means you can connect a MCU such an Arduino or Raspberry PI, or use 12V serial connections to a serial port on a PC. There is also an I2C interface and support for a small numeric keypad. Have not blogged much over the summer because the Mrs. and I have moved to London on a temporary work assignment. Anyone who has been an expat understands the complexities of a relocation. Now that we are here and settled, I can get back to my hacking projects. I bought my Rasberry Pi’s with me and purchased a couple of Arduino’s and bench tools at a local Maplin store. My latest interest is in RFID cards. The use of this technology is exploding. Since I am in the security business, understanding how RFID is used for secure access to large data centers and other secure facilities is important. 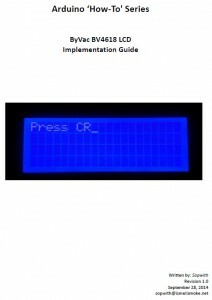 In my research, I came across an interesting project involving an Arduino Nano. The Tastic RFID stealer is a very clever hack.